Hey, so here’s a bonkers thing that happened when we weren’t looking: Jason Momoa got married. That’s right; he just up and married his longtime partner of 10 years, actor Lisa Bonet, and just forgot to tell us about it. It’s not like I’m salty or anything, but, like, I would have loved to be let in on the on the news, Mr. and Mrs. Momoa! Us Weekly was the first to break the news that Momoa and Bonet got hitched a few months ago, despite the news just breaking now. It was commonly thought that Momoa and Bonet have been married for quite some time, but that might just be the heteronormative patriarchy talking. I mean, after 12 years in partnership (the couple met in 2005) and having two children together (Lola, 10, and Nakoa-Wolf, 8), we’d be forgiven for automatically assuming a marriage happened at some point. But alas, Momoa and Bonet did things on their own terms and have now decided to tie the knot. 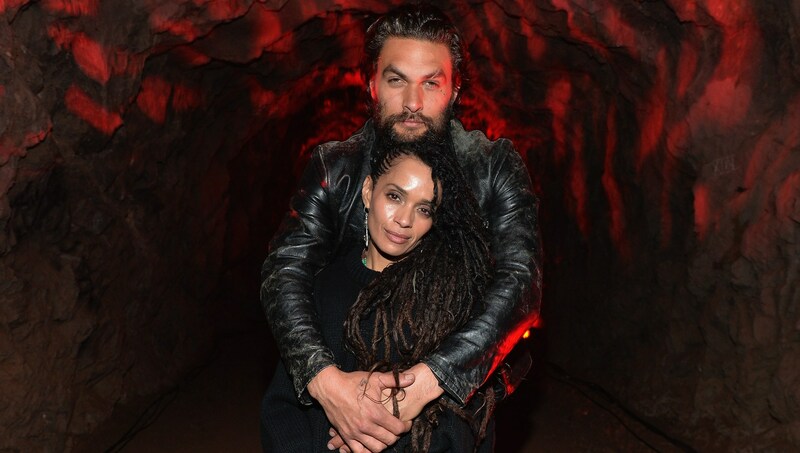 A source confirmed to the magazine, “Jason Momoa and Lisa Bonet had an official wedding a few weeks ago at their house in Topanga, California. Apparently, they weren’t officially married until then! They said they ‘made it official. '” This is backed up by a reported secondary source who said the couple obtained a marriage license on Oct. 2, one week before they said I do. The details about the wedding are thin, but from what we do know, it certainly sounds like a fun time was had by all. Among those in attendance were Zoë Kravitz, Bonet’s daughter with Lenny Kravitz and one of the stars of Big Little Lies, as well as newlyweds Alicia Vikander and Michael Fassbender. Additionally, it’s reported that, according to a source who saw some photos on Facebook, Momoa wore his hair in a man bun with a loose, unbuttoned white shirt while Bonet was the picture of wedding chic. In a fun addition to the traditional proceedings, some of the guests also performed a traditional Maori Haka. All I can say is this: It sounds like this was the perfect celebration for these longtime lovebirds, and I can’t wait to see photos from this special day. Congrats, you two!